SHANGHAI -- There are a lot of confusing signals coming out of China lately. Is the dynamo whose steady rise has helped keep the global economy on the path to recovery since the global financial crisis running out of steam? 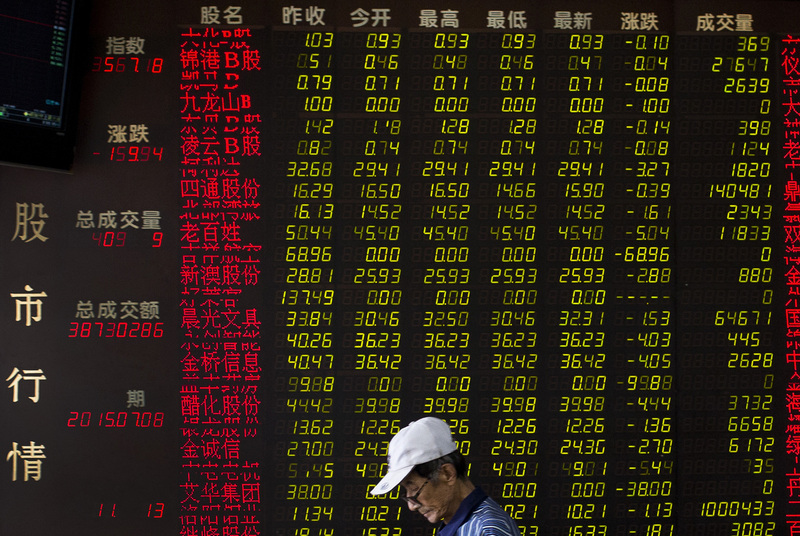 Has the Chinese growth formula broken down? To be sure, China is in the midst of a challenging transition from rapid, export-driven growth to more moderate, more consumption-driven growth. This is what happens to successful developing economies. While China's woes in 2015 have caused justifiable anxiety around the world, a decade from now, this may very well look like a case of growing pains. One reason we think this is so is the research we have recently completed on China's innovation capabilities. We wanted to develop the fact base to determine if China, as is commonly thought, remains an "innovation sponge" that is adept at adopting and adapting technology from around the world -- or whether it is capable of true innovation. What we learned surprised us. China is far better at innovation than is generally known and, in some kinds of innovation, is already emerging as a global leader. While China's woes in 2015 have caused justifiable anxiety around the world, a decade from now, this may very well look like a case of growing pains. The evidence? 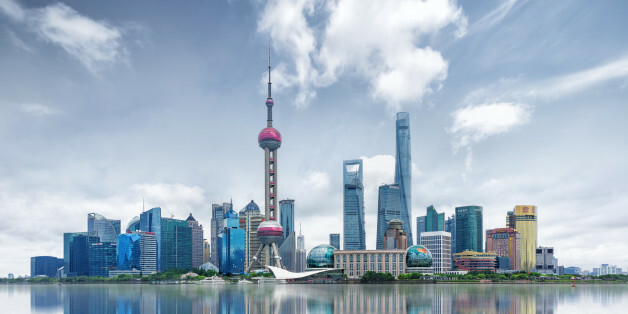 To understand how innovation is evolving in China, we set out to measure the impact of innovation -- how new ideas for products, services, processes and business models succeed in the market when they are commercialized or implemented. To do this we created an "archetype" view of innovation. Each archetype -- there are four, in all -- has a different approach to innovation. In customer-focused innovation, solving consumer problems is key. In efficiency-driven industries, innovation is about improving processes in production or in service delivery. We analyzed 20,000 public companies in China and around the world in 31 industries, representing about 30 percent of global GDP, and looked for where Chinese companies were getting more than their GDP share of global revenue -- more than 12 percent, which is China's share of global GDP. We find that China's greatest strengths are customer-focused and efficiency-driven innovation. In customer-focused innovation, China has more than its share in several industries, including appliances (36 percent of global revenue) and Internet software and services. Innovators in these industries benefit from the massive size of the Chinese market (more than 100 million new mainstream consumer households, head for 200 million by 2025), which allows rapid commercialization of innovations and provides a willing testbed for new ideas. Chinese consumers are happy to take early versions of new smartphone features, for example, and collaborate with manufacturers via online forums and other means, to perfect them. As the world's largest manufacturing economy, China has built an unmatched ecosystem that enables continuous process innovations. The ecosystem includes more than five times the Japanese supplier base, 150 million experienced factory workers and modern infrastructure to move parts to plants and finished goods to world markets. Notable successes in efficiency-driven innovation include solar panels (51 percent of global revenue), where large scale and a well-developed supply chain give Chinese players about 15 to 20 percent cost advantage. In the two remaining archetypes -- engineering and science-based innovation, China still has more to do. Engineering-based innovation requires deep knowledge. In industries such as high-speed trains (41 percent of global revenue), communications equipment (18 percent) and wind turbines (20 percent), Chinese companies have learned rapidly, thanks in part to government support; government facilitated technology transfer and as a purchaser helped companies build scale. In autos, Chinese brands have had more limited learning opportunities and Chinese players have just 8 percent of global revenue. Chinese companies have not yet captured above-GDP shares in any of the science-based industries we analyzed (specialty chemicals, semiconductor design and pharmaceuticals, for example). This is despite significant investment in technical capabilities. China now spends more than $200 billion per year on R&D (second only to the United States), produces nearly 30,000 PhDs in engineering and science each year, and files more than 800,000 patents. These investments provide a strong foundation for the kind of long-term research that leads to science breakthroughs. In the meantime, Chinese companies are finding uniquely Chinese ways to speed up science and engineering. Drug makers, for example, are using massive scale --thousands of PhDs and huge investments in machinery -- to accelerate discovery. China's strength in innovation will help determine how smoothly the economy can shift to more moderate and consumption-based growth. China's strength in innovation will help determine how smoothly the economy can shift to more moderate and consumption-based growth. With aging reducing the working-age population, China can no longer count on an expanding labor force to drive growth. At the same time, macroeconomic returns on investment have fallen -- it takes 60 percent more capital to generate a unit of GDP than it did from 1990 to 2010. Rising "multifactor" productivity -- a proxy for innovation at the macroeconomic level -- will need to take up the slack and account for up to 50 percent of growth (it's currently 35 percent). We identify opportunities in service-sector innovation (where Chinese productivity is far below advanced-economy levels) that could add $500 billion to $1.4 trillion of value per year to the Chinese economy by 2025. In manufacturing, China has a good shot at becoming the leading global platform for digitized, connected manufacturing (known as Industry 4.0). Next-generation manufacturing could add $450 billion to $780 billion per year in value. China's growing success in innovation would have effects on the global economy that extend beyond keeping China growth on track. Chinese innovators have developed low-cost and rapid approaches to innovation that could alter how companies compete in markets around the world. Companies that can't match China cost, speed and global reach in their innovation efforts could be at a disadvantage. "The China Effect on Global Innovation" is a new piece of research published by the McKinsey Global Institute. The full report can be downloaded here.